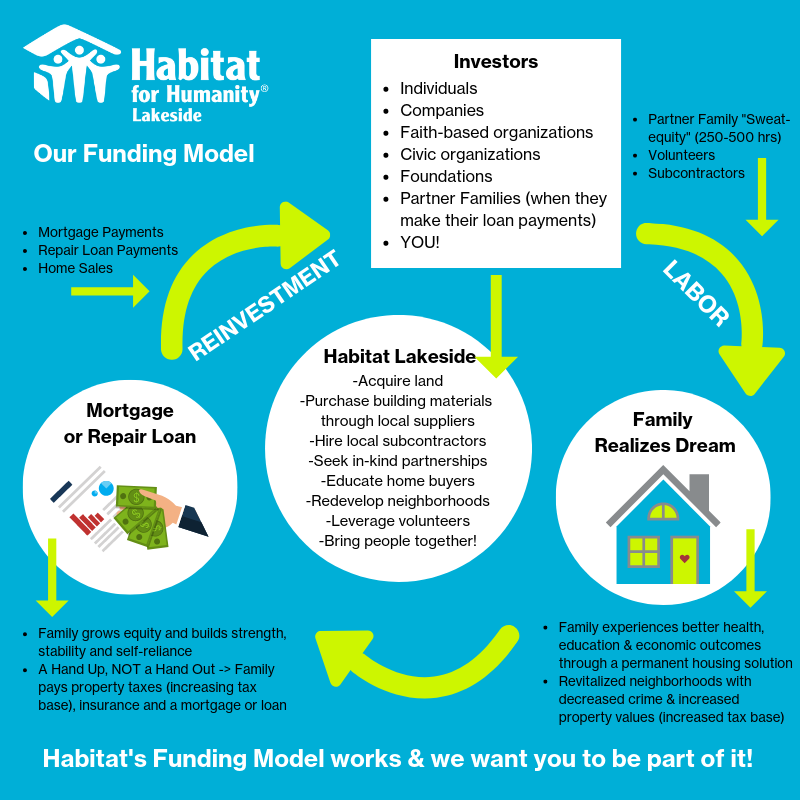 Our funding model is explained through the info graphic below. If you would like to learn more or have a conversation about how you can be part of our funding model, please reach out to Sarah Beckman, our Executive Director, at 920-458-3399 ext. 301 or sbeckman@habitatlakeside.com.